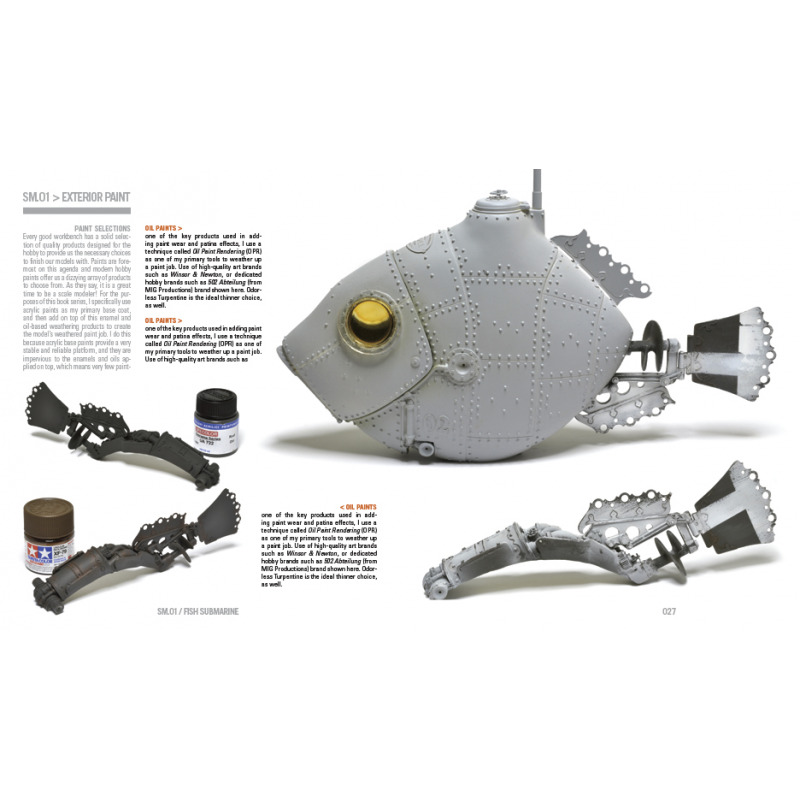 This item is a book only and does not come with the kit. 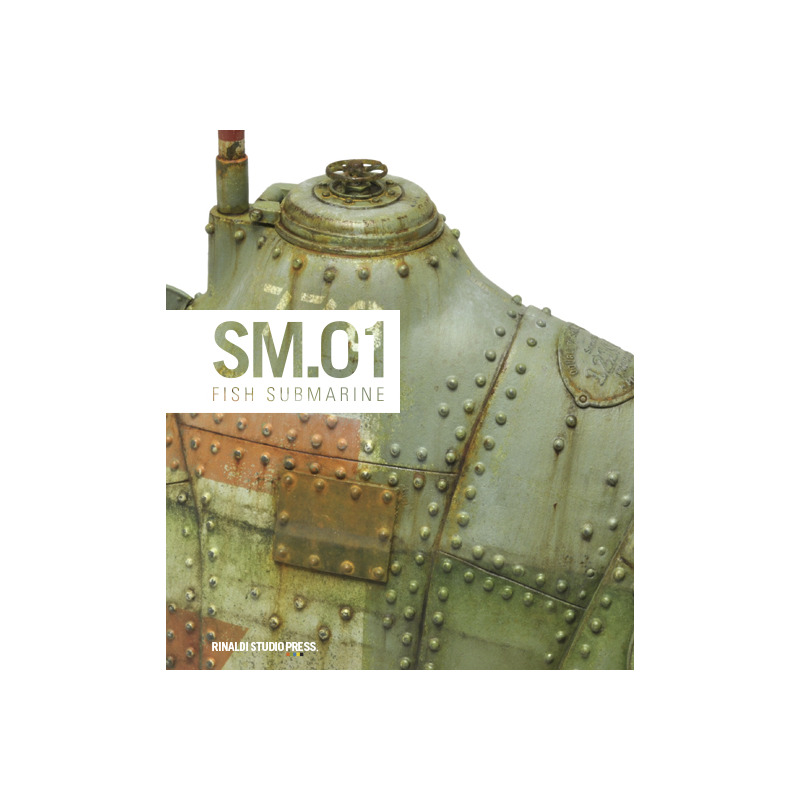 The SM Series will follow a new standardized format from RSP, which is a smaller and lighter scaled-down version of their TANKART books. 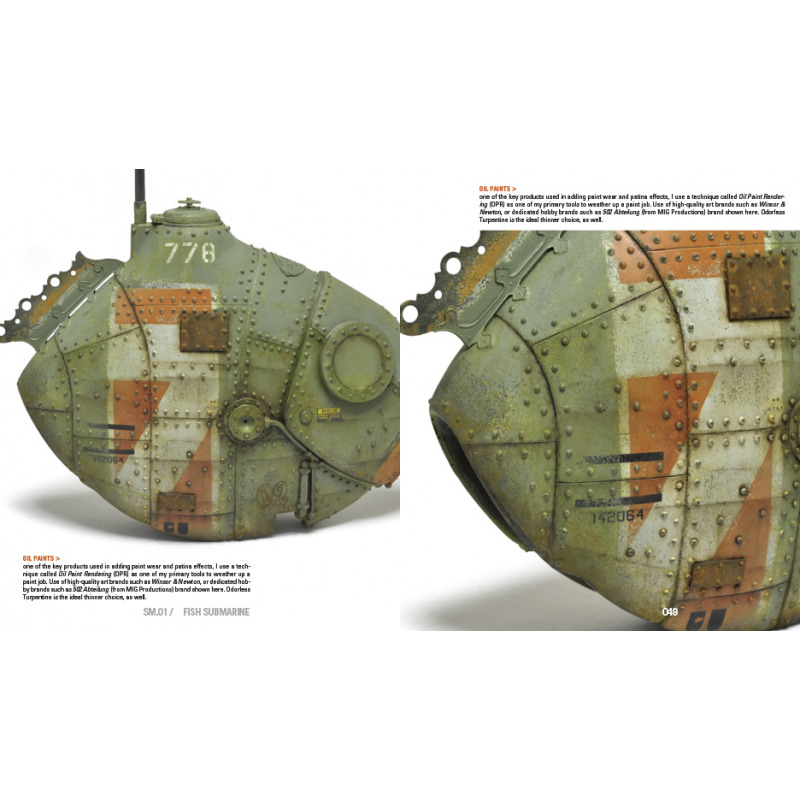 The new format size is 6.5" x 7.5", perfect-bound at a minimum of 96-pages. 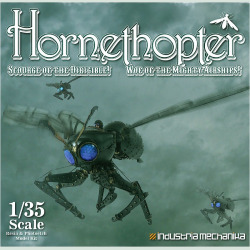 Each book is cover with a unique linen paper that is new to the hobby world for a softcover publication, and the interior paper is an eco-friendly 30% recycled stock that gives these new books a great tactile feeling. 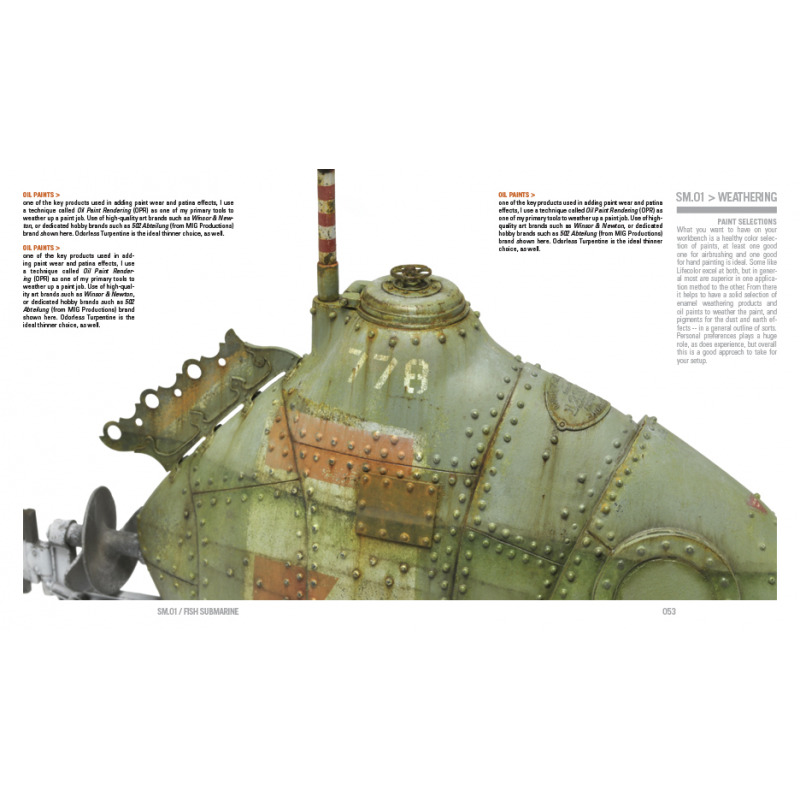 RSP utilizes their dual-text format to provide the core written material for the reader, and they make maximum use of the new footprint to showcase incredibly detailed and large high-resolution images of each step throughout these new books, in keeping with the style you come to enjoy from RSP. 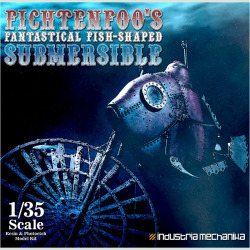 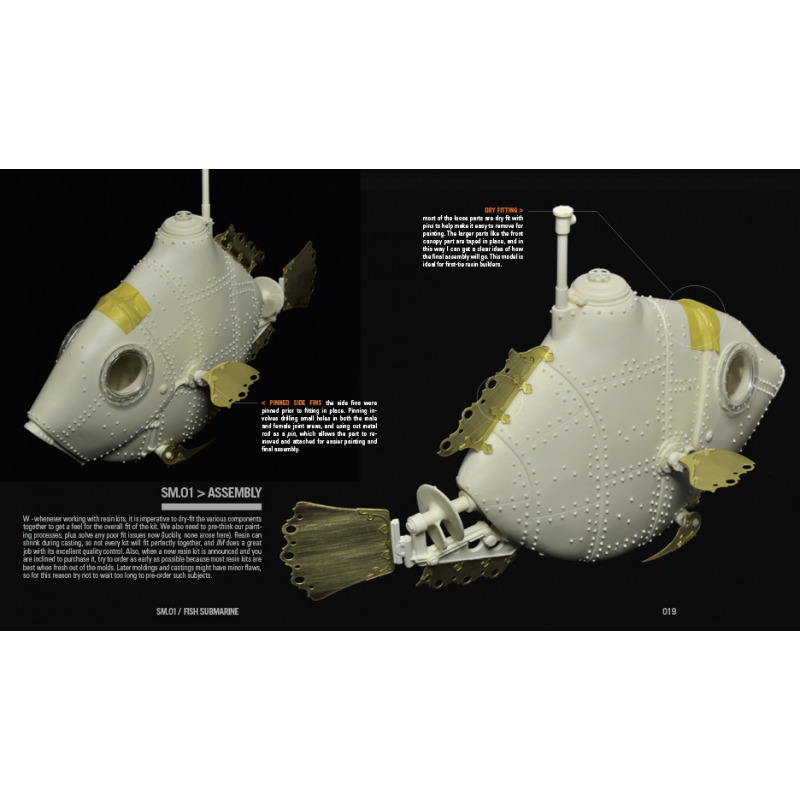 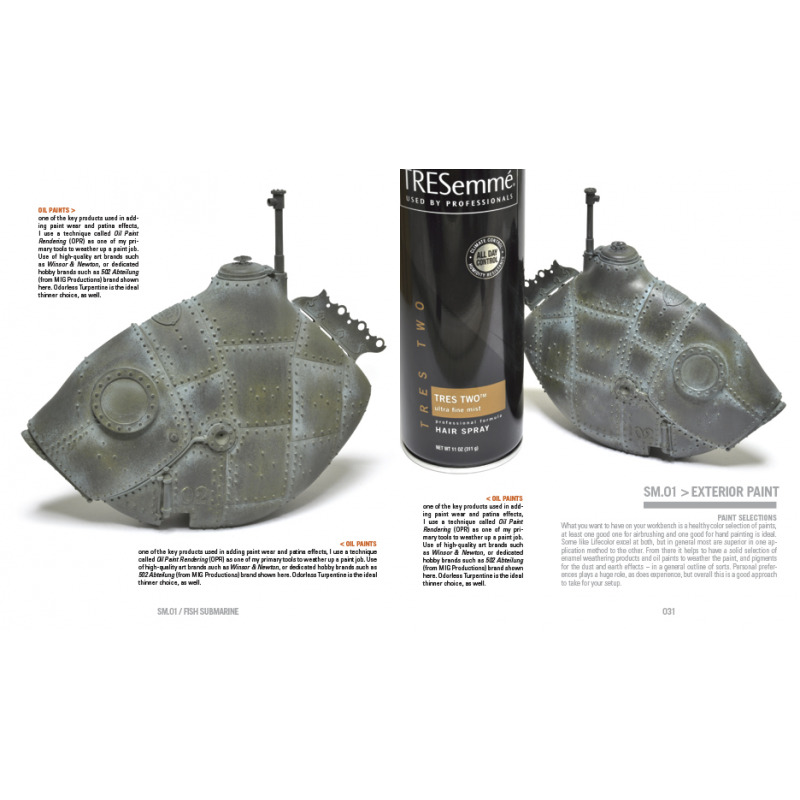 The SM Series launches with a most unusual and unique project, 1/35 FichtenFoo's Fantastical Fish-shaped Submersible from Industria Mechanika -- for a few good reasons. 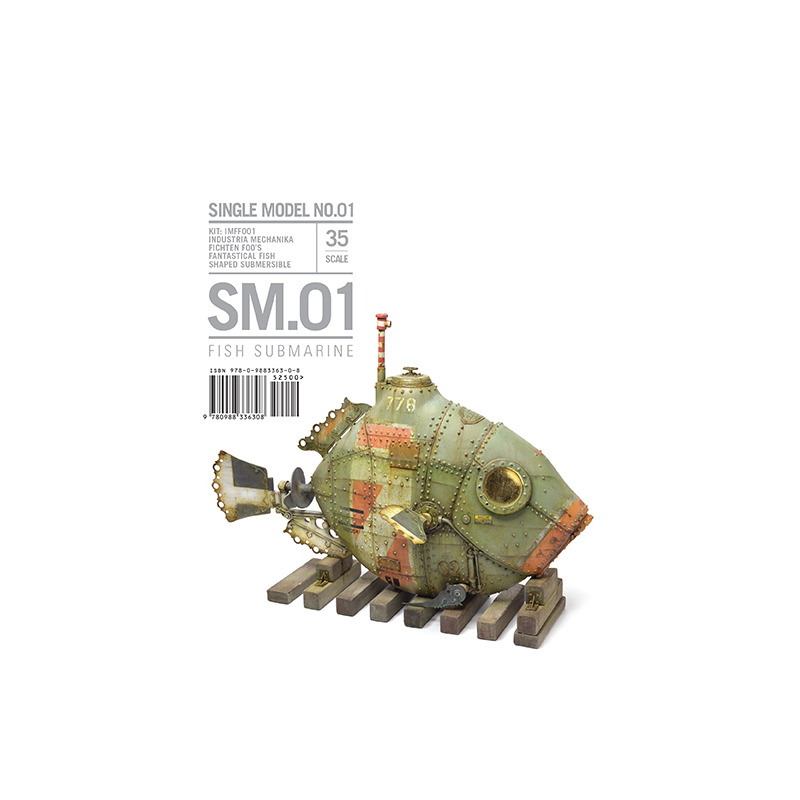 One of the main goals for these new SM titles is the further expansion of RSP into the larger hobby as a whole. 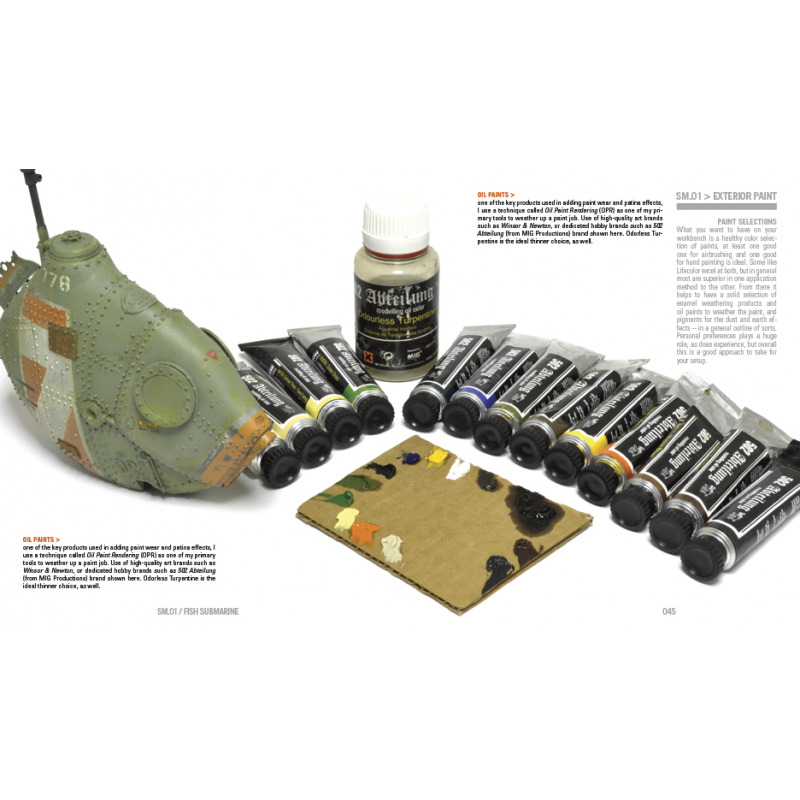 Science Fiction, Aviation, Construction Equipment and RailRoading projects, even Racing subjects will be presented throughout this new on-going series, plus they will also continue to cover Military subjects too, often singular models not destined for other RSP titles. 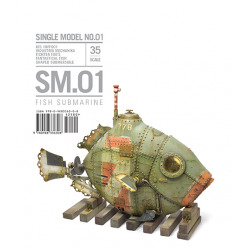 A core premise of the new series is to explore and redefine artisitic and creative finishes for each subject, and SM.01 Fish Submarine is a great launching point to cross over into these other realms. 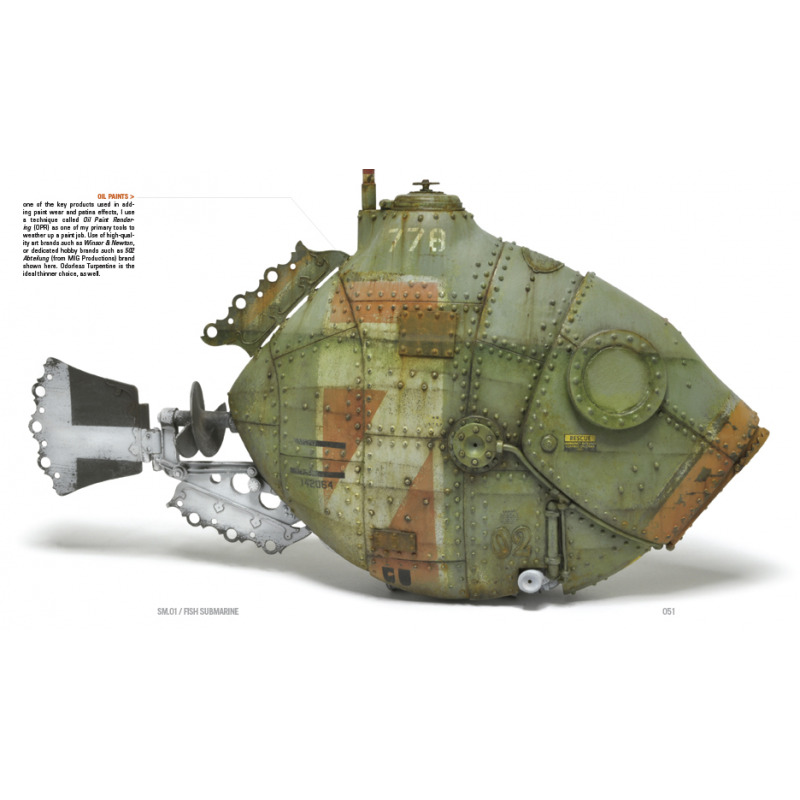 SM.01 Fish Submarine (US ISBN 978-0-9883363-0-8) is an ideal starting point to illustrate this concept because the model is defined by its turn-of-the-20th Century styling, yet the author has tackled the paint job with a more contemporary science fiction based camo scheme that creates a wholly original final result.